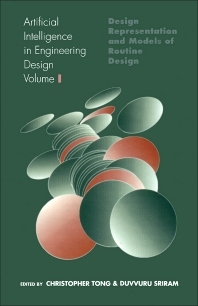 Artificial Intelligence in Engineering Design is a three-volume edited collection of key papers from the field of AI and design, aimed at providing a state-of-the art description of the field, and focusing on how ideas and methods from artificial intelligence can help engineers in the design of physical artifacts and processes. The books survey a wide variety of applications in the areas of civil, chemical, electrical, computer, VLSI, and mechanical engineering. Design Representation: Models of Routine Design.